The cast includes Shraddha Srinath, Vidya Balan and Andrea Tariang. Tamil screen icon Ajith’s Nerkonda Paarvai will be released on August 10, the makers announced on Monday. The film is a remake of Aniruddha Roy Chowdhury’s acclaimed Hindi courtroom drama Pink (2016). Co-produced by Boney Kapoor and Zee Studios, the Tamil film will be directed by H Vinoth (Sathuranga Vettai, Theeran Adhigaaram Ondru). Pink stars Amitabh Bachchan as a lawyer who helps three women, played by Taapsee Pannu, Kirti Kulhari and Andrea Tariang, take on a politician’s nephew after he sexually assaults Pannu’s character. Shraddha Srinath will step into Pannu’s role, while Tariang will reprise her role in the remake. The Tamil film also stars Vidya Balan and Abhirami Venkatachalam. 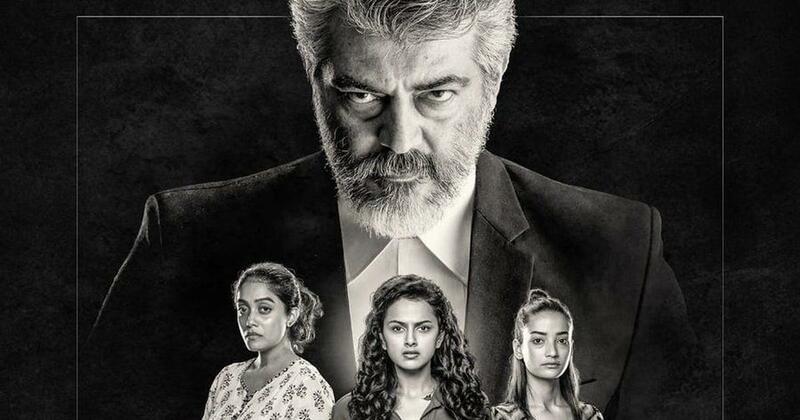 Ajith Kumar, who is known mononymously as Ajith, was last seen in Siva’s drama Viswasam (2019) alongside Nayanthara.